Giorgio Bella had a dream—to fully engage the church with the community. Italy was the first country in Europe in which Adventist doctrines were preached. M. B. Czechowski, a former Catholic priest from Poland who had been baptized in the United States in 1857, went to Italy as an unofficial missionary in 1864. Sicily, an autonomous region of Italy, was entered in 1916 with the return of sisters M. and D. Infranco from the United States. In September 1920, R. Calderone came to Sicily and baptized six people. In May 1921, the first church in Sicily was organized at Montevago. 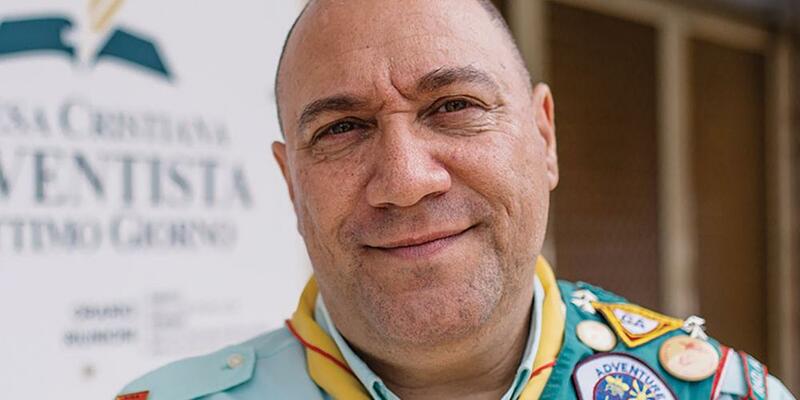 Giorgio (George-e-o) Bella had a dream—to fully engage the church with the community. He is very active in the Adventist church in Ragusa on the island of Sicily. He leads out in the Pathfinder Club and serves as area coordinator. He owns a local business and offers a large classroom in his building to be used to teach skills classes to those who need it most. Giorgio also serves as one of the volunteer leaders for ADRA (Adventist Development and Relief Agency) in Ragusa. He and co-leader Carmela Cascone wanted to expand Adventist work within the community. When the ADRA service first began in Ragusa several years ago, the main function was to provide food and clothing to those in need. The volunteers then expanded their services to include social activities including Italian language courses for foreigners, a program of support and assistance to foreign prisoners, and some mental health services including a listening center. So Giorgio and Carmela decided to meet with officials from the Ragusa city council and ask the councillors what services were most needed in the area. At first they sensed some hesitancy, since the councillors weren’t familiar with the Seventh-day Adventist Church, but as time went on and the councillors observed the work the ADRA volunteers were doing, their confidence grew. Confidence grew so strong that in 2014 the project “Food Bank Foundation,” a food assistance program for needy families established by the City of Ragusa, was entrusted solely to ADRA Ragusa. The service includes the procurement, storage and distribution of food for families who have been referred by the local Social Services department. The distribution center is located in part of the ground-floor area of an apartment building where the Ragusa Seventh-day Adventist Church is currently meeting. “We have created a connection with the local people, with other [social welfare] associations, but we are the center,” says Giorgio. “Only ADRA has the exclusive right to distribute this food.” He notes the significance of this honor because until now in Sicily the Roman Catholic Church has been granted this exclusivity by the government. Joseph is just one of many people whose life has been touched by the Adventists in Ragusa. Being unemployed for some time, Joseph decided to approach the government for help. The government social worker sent him to the center at the Adventist church, and there he received more help than he expected. After receiving assistance at the center for about a year and a half, Joseph decided he wanted to do more than just receive. Approaching Giorgio, Joseph told him that he would like to join the ADRA volunteer team and help others coming to the center, because he understood what they were going through. Giorgio agreed, and Joseph has now been serving as an ADRA volunteer for nearly a year. Many people who become acquainted with Giorgio want to know more about his church. The area where the Ragusa Adventists meet, however, is to small to accommodate all who would like to come. Part of this quarter’s Thirteenth Sabbath Offering will help to build a much-needed Seventh-day Adventist Church in Ragusa.